Warrant Officer James Pattinson, R.A.F.V.R. (1922 - 1944) of Aspatria, Cumberland (previously Cumbria) died on 29 December 1944, aged 22. 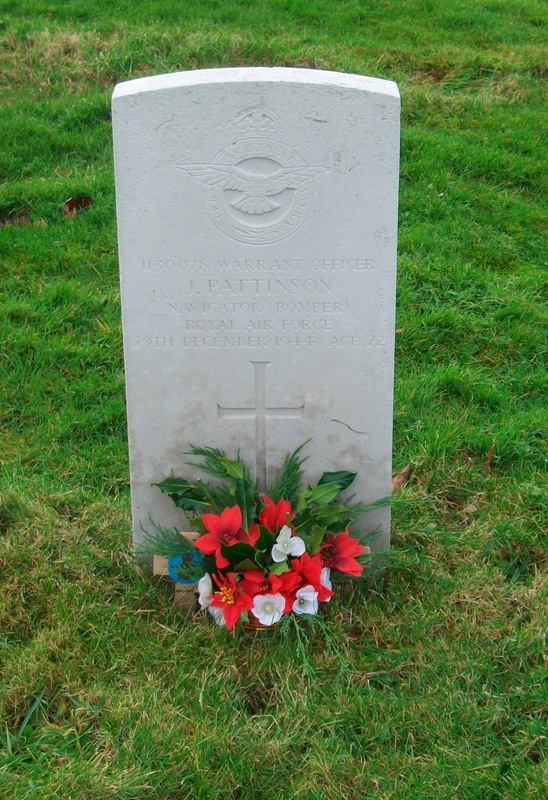 He was the son of James and Jesse Pattinson and is buried in St Kentigern's Churchyard. 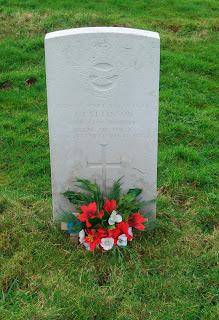 His grave is marked by a Commonwealth War Graves Commission headstone (seen in the photograph above). Husband of Eleanor Pattinson, of Aspatria. May his sacrifice not be forgotten!